The Veliko Tarnovo based restaurant Shtastliveca was nominated in European Cuisine Category for the prestigious World Luxury Restaurant Awards™. 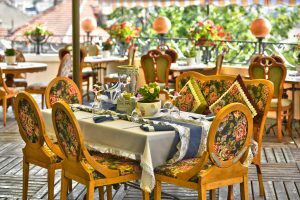 The posh restaurant also has branches in Sofia and Stara Zagora. 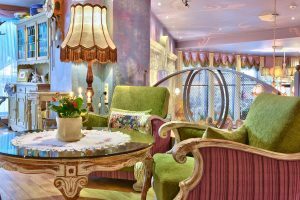 It is the first time the World Luxury Restaurant Awards™ set foot in Bulgaria and only one more restaurant in the country received a nomination – Secret by Chef Petrov (https://www.facebook.com/Secret-by-Chef-Petrov-Sofia-191216524604017/). Translated from Bulgarian “Shtastliveca” means “The Lucky One”, and is a nickname of one of the most famous Bulgarian novel writers who lived at the end of 19th Century – Aleko Konstantinov. 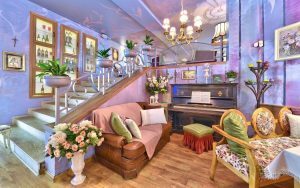 The interior design of the restaurant is inspired by urban home style which was popular in the 30’s of the 19th Century. The rich menu offers a choice of authentic European and interpretations of Bulgarian national cuisine. A fresh lunch menu is available for each day of the week and for each seasonal menu products are carefully selected which are typical for the particular season. Shtastliveca Restaurant is all about feeling at home, as well as experiencing a collection of flavours and aromas for each season and taste. excellent service reviews– the restaurant should have positive reviews and be well recommended for excellent service.